Outstanding Hong Kong performer Blazing Speed (7g Dylan Thomas-Leukippids, by Sadler´s Wells) claimed another top-level victory on Sunday when winning the G1 Standard Chartered Champions & Chater Cup. 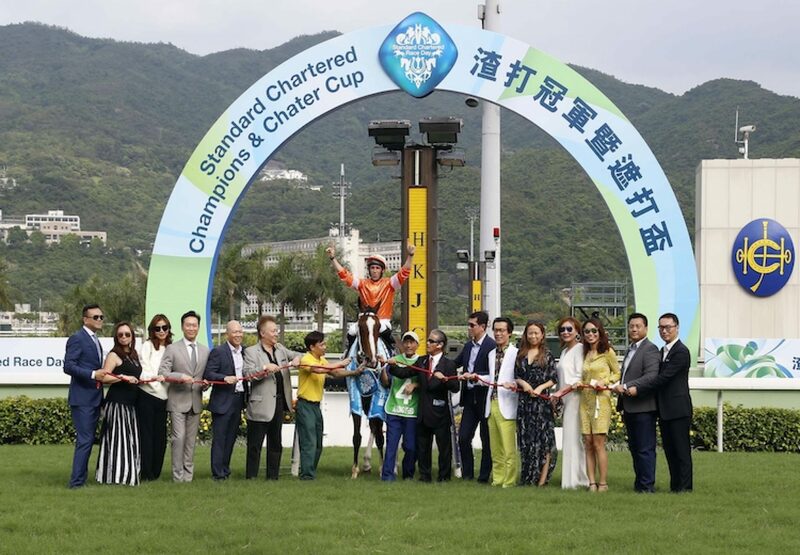 Winning trainer Tony Cruz, jockey Neil Callan and Blazing Speed had won Hong Kong’s Group 1 finale two years ago, and this latest success came in a fabulous bobbing finish. “I always had in the back of my mind that the horse was going to give me enough to win and he did,” said Callan. “It was a nice even tempo and then when the pace lifted halfway around the turn he was actually so much more relaxed that I had to give him a shake to get him going. Once we hit the corner and I straightened him up I just gave him one slap down the shoulder and he immediately came into the bridle and I knew he’d give me everything to the line; whether that was win, lose or draw I knew he’d go out fighting. And he did but on the right end!” Cruz was understandbably delighted with the victory and said that he had no plans to retire the seven-year-old. “He’s easy to train, he has a fantastic character. He’s seven years old but as long as he keeps going we’ll keep going with him,” said Cruz. Blazing Speed, who also won the 2015 G1 Audemars Piguet QEII Cup, was bred in Britain by the late Joe Sankey.